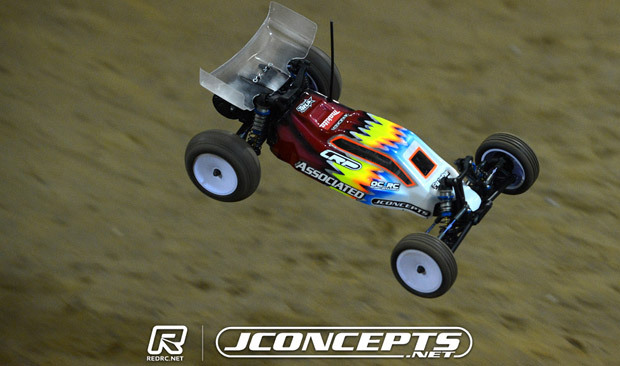 Team Associated’s Tanner Denney and Team Losi Racing’s JR Mitch claimed the big wins at the opening round of the JConcepts Indoor National Series in St.Louis. 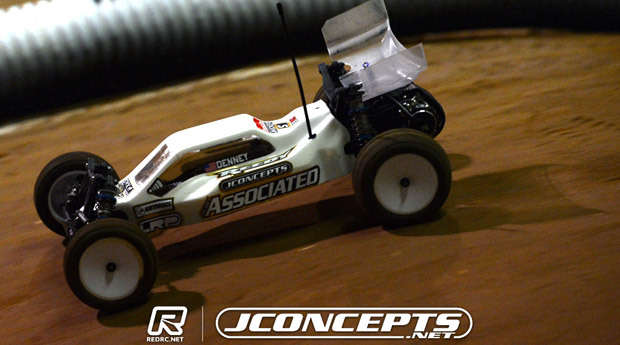 Winning the third A-Main of 2WD Buggy, having won A2, Top Qualifier Denney claimed an important win for Associated’s all new B5 on its debut race weekend while Mitch also backed up his A2 win in 4WD Buggy to claim the overall win with his TLR22-4. 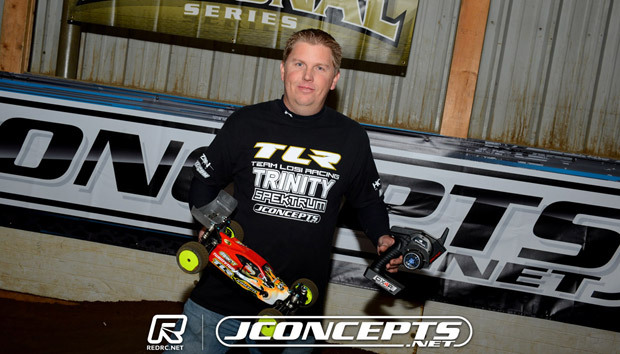 Joining them on the podium Steven Hartson & TLR’s JP Richards finished 2nd & 3rd respectively in 2WD while Denney claimed second in 4WD with Xray’s Josh Wheeler completing the overall Top 3 on the fifth running of the Winter Indoor Nationals at the SmacTrac. With everything still to play for in A3, Denney, Hartson and Richards were in contention for the overall 2WD win, Denney almost threw away his chances before the final encounter even started. In the warm-up, with his view blocked by marshals going to their posts, he would crash very heavily into one of the i-beams on the perimeter of the track. Continuing the lap it was discovered he had broken a front arm. Calling it an ‘novice move’ and believing from the sound of the impact that he had actually completely broken the car, he said the ‘organisers were nice enough’ to give him time to replace the arm allowing him to take up his pole position for the race start. Leading away the 11 car field the 18-year-old Arizona driver would lead the race from start to finish. Only having to push hard for a time in response to team-mate Hartson moving into second, he said he was happy to take the overall win on such a significant weekend for his team albeit it with a plain white bodyshell. Going into the final leg of the 4WD A-Main it was also a three way battle for the win with Mitch, Denney and TLR’s Cody Hollis thanks to a second A2 in contention. Unfortunately for Top Qualifier Hartson, two difficult legs meant the World Champion had no chance of the win. Having had a disastrous opening lap in A2, he led away the field and looked to have things under control to at least salvage one win but landing his B44.2 into the corner piping in the centre of the track, this would allow Mitch to the front where the Florida driver would stay to the end with Hartson second and A1 winner Denney third. His first time to race at SmacTrac, Mitch was very happy to take the overall win. As he had hoped for after his A2 win the track was again watered ahead of the round. Describing his buggy as ‘really good’ in stickier track conditions, he said the race went to plan with his focus being to just stay ahead of Denney, the Associated driver admitted himself afterwards that he ‘totally blew out’ in the encounter. In the truck classes Hartson took the top honours in Mod Truck with his T4.2, while Mitch took home a second winners trophy taking the spoils in 4WD Short Course with his SCTE. 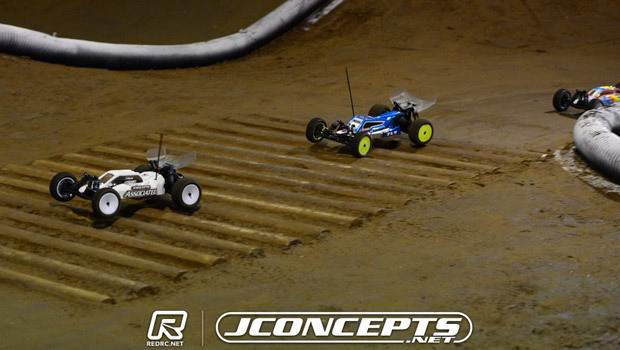 In 2WD Short Course Luke Richards took his Kyosho to the win. 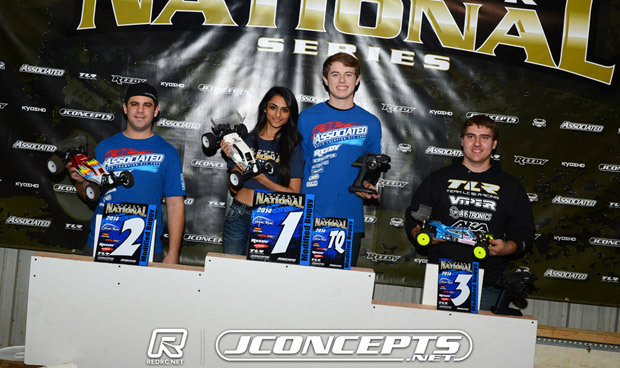 The winners of the premiere classes at the JConcepts Winter Indoor Nationals in St.Louis will be decided in A3 as the second round of buggy Mains at SmacTrac produced different winners to the opening encounters. Having struggled with tyre prep in 2WD Buggy in A1, Top Qualifier Tanner Denney was able to convert second time around despite a mistake that dropped him down the field. In 4WD Buggy JR Mitch, who took second in A1, capitalised on a first lap error by Top Qualifier Steven Hartson that delayed team-mate Denney to take the win. Hartson would finish 3rd in 2WD Buggy behind JP Richards while in 4WD the World Champion struggled home in 10th. Describing the track as completely different, the organisers watering the track prior to the A-Mains, Denney said he was able to make a good start from the pole. Pushing hard to try and extend his lead he said he became a ‘throttle jockey’, his erratic use of the throttle & brake resulting in a mistake at the triple which saw his B5 needing to be marshalled. This allowed the TLR22 of JP Richards to the front with Hartson right on his tail. Showing great patience behind Richards, Hartson tried to set-up a pass but the pair tangled. 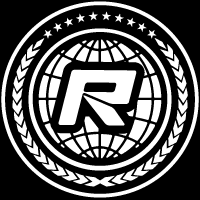 The factory Associated driver waited to let the 20-year-old resume position but as he did Denney’s all white buggy slipped through to the lead. The 18-year-old admitted he was gifted the lead by the coming together but once in front and with a bit of a lead he said he just switched to cruise mode and focused on not making any mistakes. Hartson said his Reedy powered B5 was ‘extremely good’ and he had the speed to win but added when you don’t have anywhere to go its nearly impossible to make a pass without taking out the buggy in front. In 4WD Hartson caught the pipping at the third corner after the start collecting Denney in the process allowing the entire field headed by Mitch to go passed. Leading from the Xray of Josh Wheeler, Mitch would himself get caught up in the piping allowing the latter to lead before he too had problems with the piping. Mitch said he was lucky to have been able to avoid Hartson at the start and despite some nervous moments he was happy to be able to bring home the win. 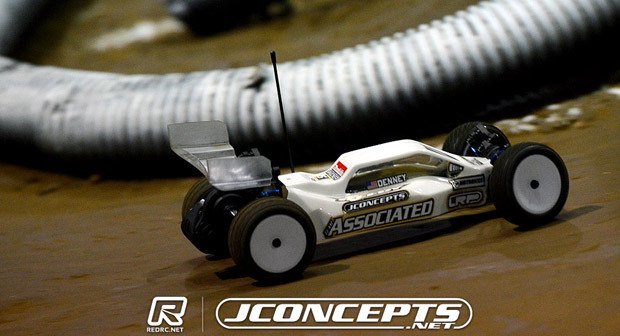 With a second in A1, the Team Losi Racing driver is right in contention going into A3. Planning to just wash the tyres on his TLR22-4 he said he hopes they again blow off and water the track for the closing round of A-Mains as this really suited his set-up. 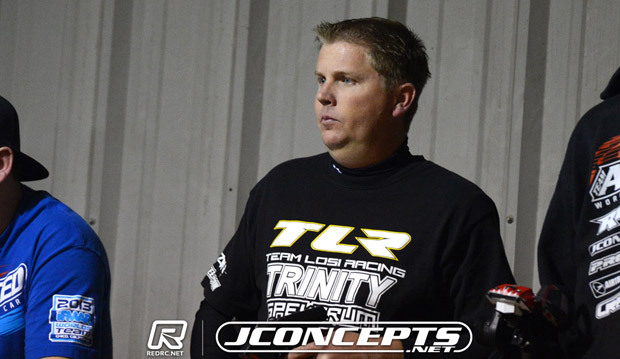 It was a good main for TLR with Cody Hollis managing to get 2nd just in front of Wheeler having started from 6th on the grid. 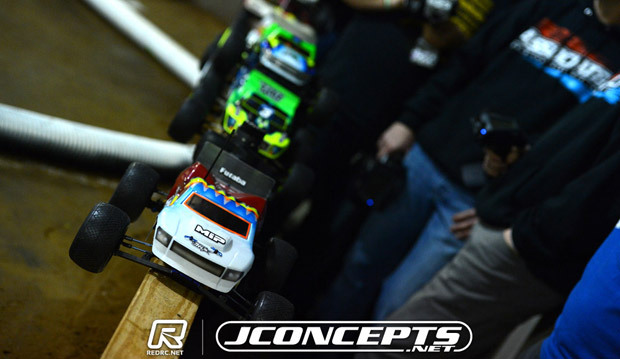 Steven Hartson and Tanner Denney took easy wins in the opening A-Mains of the JConcepts Winter Indoor Nationals in St.Louis but not in the expected order with 4WD Top Qualifier Hartson taking the 2WD win while 2WD Top Qualifier Denney won the first 4WD encounter. The first of the A-Mains to be run Denney built up an early lead with his new B5 and looked set to cruise to an easy win but starting from 4th on the grid and avoiding an early pile up Hartson reeled in his younger team-mate. With Hartson right on his motor Denney would survive his first mistake at the log section but the former series champion would capitalise on the second mistake to go on and take the win by over 4 seconds with Team Losi Racing’s Taylor Larsen completing the Top 3. With the 4WD encounter run straight after the 2WD, annoyed by his 2WD performance Denney was taking no prisoners and starting from the No.2 position made a forceful move on his team-mate to move to the front early in the race. 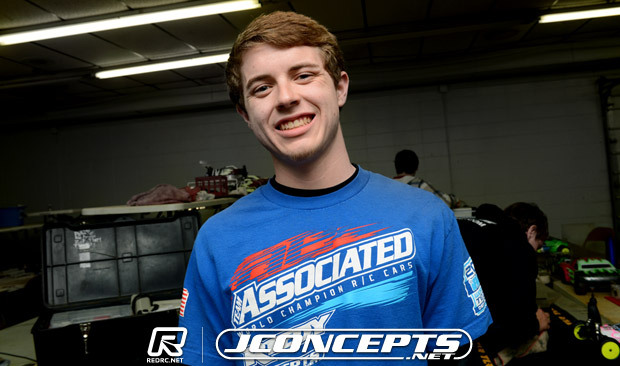 Despite catching the piping at the chicane reducing his lead considerably to then second placed Josh Wheeler, the 18-year-old was able to pull clear to take the win by 3.6 seconds over TLR’s JR Mitch. While Wheeler completed the Top 3, Hartson could only manage 5th. 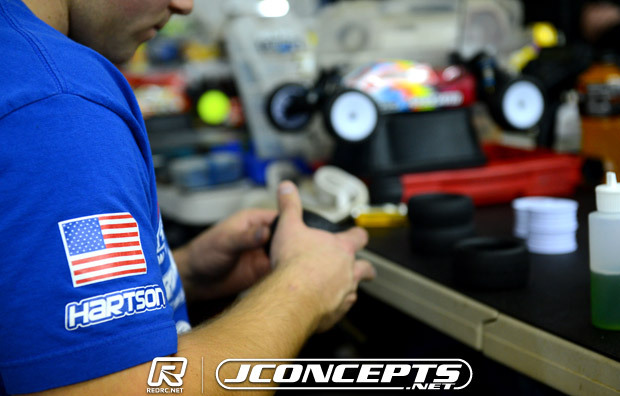 Commenting on his two races, Hartson said fitting JConcepts founder Jason Ruona’s race tyres on his B5 for the final was the ‘best thing ever’. 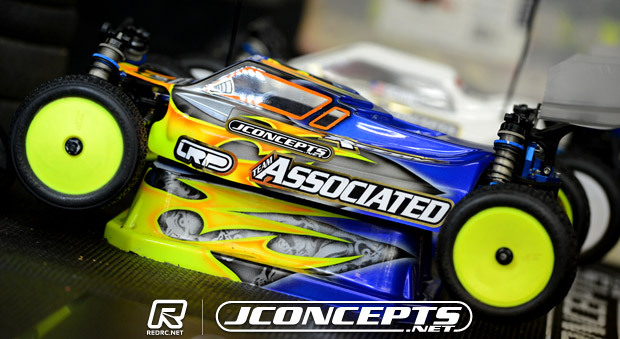 Having avoid the pile-up caused by the No.2 TLR of JP Richards, he said his B5 was the best it has been all weekend at the SmacTrac and he was easily able to catch up to Denney. Getting by the Arizona driver he said he was able to pull clear. ‘Car kind of sucked’ was how he summed up the 4WD encounter. The California driver said he had the wrong tyres adding for A2 he will switch to green compound JConcepts Dirt Webs all round having run Barcodes. Asked about Denney’s move the World Champion said it was a ‘little forceful’ but didn’t really hurt too much as with his B44.2 the way it was he was eventually going to get passed. Denney said in 2WD he messed up by changing his tyre prep ahead of A1. Using motor spray to clean his tyres he said it took ‘away the stickiness’ and with the buggy really loose he was ‘holding on for dear life’. Planning to use the same tyre preparation that helped him to TQ three of the four qualifiers he said for A2 he will be ‘ok for the next one’. Describing his B44.2 as ‘really good’ he said he was pretty annoyed & fired up after his 2WD tyre error and admitted his move was ‘pretty aggressive’. Adding that where he made his move was ‘not a spot for a pass’, like Hartson said it didn’t hurt either driver.